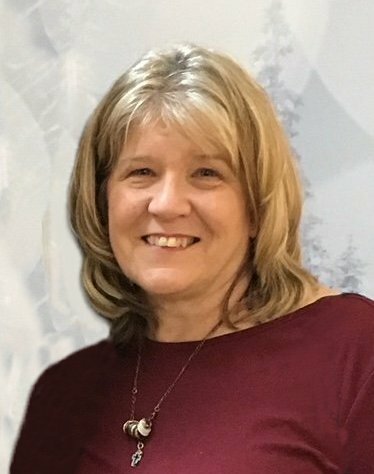 Obituary for Holly Thomas | McCombs Funeral Home Inc.
Holly Ann Thomas, 56, of Oak Ridge, passed away Wednesday, September 12, 2018, at her home. She was born January 7, 1962, in Cape Girardeau, to Floyd “Pete” and LaVerne Lichtenegger Puchbauer. She and David Thomas were married March 6, 1982, at St. John’s Lutheran Church in Pocahontas, Missouri, also the church of her baptism and confirmation. She and David are current members of Trinity Lutheran Church in Friedheim. Holly was a 1980 graduate of Oak Ridge High School and earned her bachelor’s degree from Southeast Missouri State University. She earned her CPA and worked at Schott and Vandeven in Cape Girardeau. In 2004, she and Connie Brown established Brown and Thomas CPA Firm in Jackson. Holly loved to travel with family and friends. Her primary joy in life was her children. Every proud moment lived and every memory cherished was with them. Love, care, and kindness shined brightly through her beautiful smile. She gave everything, asked for nothing, and was loved by all who spoke with her. She will be forever missed, but her impact will go on forever. Loving survivors include her husband of 36 years, David Thomas of Oak Ridge; two children, Kia (Austin) Morrison of St. Louis and Brett Thomas (fiancee, Amanda Lappe) of St. Charles, Missouri; her mother, LaVerne (the late Pete) Puchbauer of Jackson; four siblings, Kent (Jean) Puchbauer and Matt (Nancy) Puchbauer of Jackson, Mark (Gaye) Puchbauer and Beverly (Dennis) Hemmann of Oak Ridge; father-in-law, Clifford J. Thomas of Friedheim; a brother-in-law, Roger (Patricia) Thomas of Friedheim; and two sisters-in-law, Janet (Darrell) Hahs of Friedheim and Sandy K. (Torne) White of Nashville, Tennessee. She was preceded in death by her father, Pete Puchbauer; and mother-in-law, Erma Thomas. Visitation is from 3 to 8 p.m., Friday, September 14, 2018, at McCombs Funeral Home and Cremation Center in Jackson, and from 10 a.m. to service time, Saturday, September 15, 2018, at Trinity Lutheran Church in Friedheim. The funeral is at 11 a.m., Saturday, September 15, 2018, at the church, with the Rev. Roger Steinbrueck officiating. Burial will follow at the church cemetery. Memorials may take the form of contributions to the Dream Factory of Southeast Missouri, P.O. Box 185, Blodgett, Mo. 63824, or St. Jude Children’s Research Hospital, 501 St Jude Place, Memphis, TN 38105.